Some resources were correct in their description but lacked the comprehensive examples, other were completely wrong or just very unclear. In this article the same task will be implemented using only delegate, and then using both delegate and event. So the difference, relation between delegate and event and the advantage of using the event will be clear. 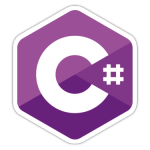 It is expected that reader of this article is familiar with basic C# and has some knowledge about delegates and events. Please note that delegates can be chained – on single call multiple methods will be called. We will create one lemming and three watchers that will monitor its health and respond as soon as health changes. As you can see delegate is public – for now, this is necessary in order to enable adding event handler from outside of the class. Also since delegate is public – it is possible to evoke the event from the outside of the class and evoke event handlers although requirements for raising the event are not met. Using event to add or remove event handler to or from delegate is very similar as using properties to get and set value to member variables. Adding and removing the event handlers is done through event. It is not possible to access delegate directly from outside of the class. Events are heavily relay on delegates. In fact relationship between events and delegates is very similar as relationship between properties and member variables. Events provide safe and friendly way of using delegates. They enable adding and removing event handlers from the outside of the class without allowing bad things to happen. Using events it is not possible to clear all event handlers by mistake or to raise the event from outside of the class (this is important because it is class responsibility to invoke the delegate when some class internal conditions are met).